This might be my favorite cookie flavor combination. 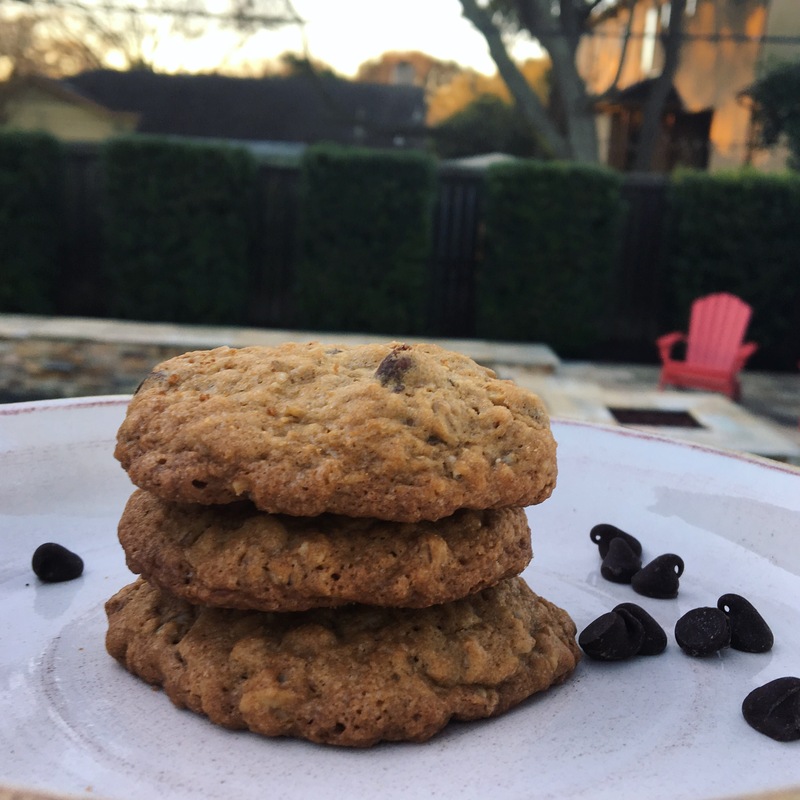 It’s just a heartier twist on the classic chocolate chip, but I really enjoy the change in texture that the rolled oats afford! Preheat your oven to 350 degrees and set aside a few baking sheets. Start by mixing together the butter and sugars until fluffy and light with an electric mixer. Then, stir in the extracts until combined. Add the flour, baking powder, baking soda, and salt to another bowl and stir until fully combined. Gradually beat in to the egg and sugar mixture, alternating with adding the eggs. Lastly, stir in the chocolate chunks and rolled oats. Then, just scoop your cookie dough onto the baking sheets. Bake for about 12-14 minutes or until edges are firm and golden brown throughout. Let cool for about 5 minutes before removing from tray.